The Lakeside Professional Office Building is expected to be completed this spring, photo courtesy of Realty Capital. 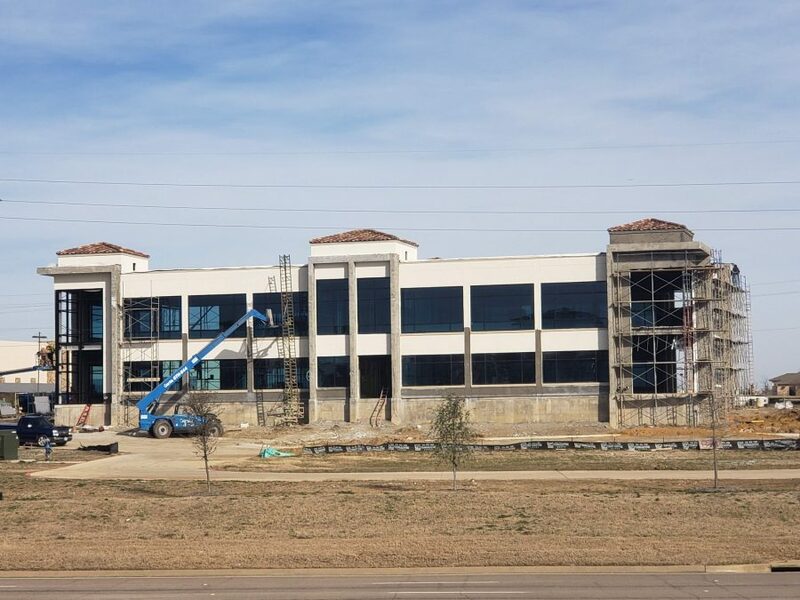 The Lakeside Professional Office building, a 21,750 square foot office building in Flower Mound, is nearing completion. The office building is under construction in the southeast corner of Lakeside Parkway and FM 2499 in Flower Mound. Realty Capital Management, the Lakeside DFW developer, expects the entire project to be completed by the end of March, with the first tenants opening up in April or May, according to Alex Brown, Realty Capital development partner. A real estate company has signed a lease, and other companies are in negotiations to lease some of the space available. The office building is meant to provide a professional office setting without the commute, a unique addition to the Flower Mound area. Workers in the office building will be a short walk across FM 2499 to get to the restaurants, salons, stores and other business in The Shops at Lakeside. “We think there is not a better location than across the street from The Shops at Lakeside,” Brown said. Mark Boone, director of commercial sales and leasing, said the proximity of the office building to the businesses benefits everyone involved. The office building is adjacent to the 7-Eleven and a restaurant-ready pad site, which Lakeside wants to use for a high-end restaurant, Boone said.